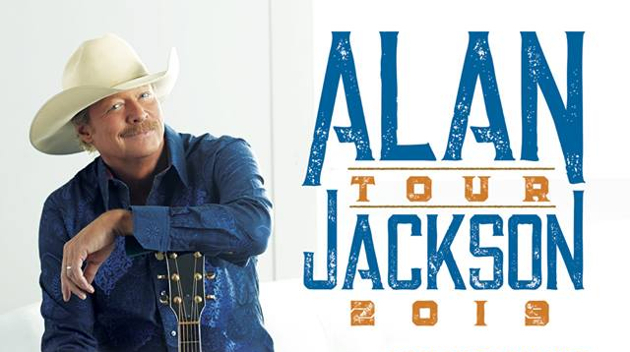 Country Music legend and Hall of Famer Alan Jackson recently announced the first round of tour dates for his upcoming 2019 arena tour to the excitement of many. Primary support on the tour has been revealed as up-and-coming major label revivalist William Michael Morgan, along with Randy Houser on certain stops. This should make for some pretty stellar evenings of true country music in itself. And now three other names have been added to select stops which you may have not heard before, but you should be paying attention to. Jay Bragg and his 2018 album Honky Tonk Dream were first featured on Saving Country Music in June. He’s one of the handful of highly-talented country music performers who moved to Nashville to pursue their dream, and have found steady work playing nightly in the few true honky tonks down on Lower Broadway. Jay Bragg’s haunt has been Alan Jackson’s Good Time Bar, where he’s been playing regularly for the last few years. Now he’s getting his chance on the biggest of stages, opening for Alan Jackson in Madison, WI; Grand Rapids, MI, Oklahoma City, OK and Omaha, NE on the upcoming tour. Not signed to a label or booking agency, it was his position at Jackson’s bar and the reception by patrons that earned him the opportunity. The son of a singer, Jay Bragg first stepped on the stage at 8-years-old to play a rendition of “Turkey In The Straw,” and has never looked back on wanting to make country music for a living. He is one of a host of performers who plays regularly on Lower Broadway, trying to keep true country music alive, paying dues, while also attempting to launch their own career. Also announced as part of the new tour is Amanda Daughtry, who also regularly plays at AJ’s Good Time Bar, as well as Legends Corner, and The Stage Rooftop on Lower Broadway. She will be opening shows in Winston-Salem, NC, Hershey, PA, Orlando, FL, and Jacksonville, FL. Originally from Johnston County, North Carolina, she moved to Nashville in 2012, and released her debut album Don’t Let it Hit Ya. Alan Jackson’s Good Time Bar will also be holding a contest to choose two more performers to open select spots on the upcoming tour. Details forthcoming. Playing regularly on Lower Broadway is how Joshua Hedley got his start, who is now signed to Third Man Records, and has been making waves in 2018 with his record Mr. Juxebox. Tom Buller, who often plays at Layla’s on Broadway and released the excellent When A Country Boy Gets The Blues this year is another Lower Broadway regular. So if you happen to see Jay Bragg, James Carothers, or Amanda Daughtry up on stage opening for Alan Jackson and ask, “Who is this?” It’s someone whose honky tonk dream is slowly but surely becoming a reality. Alan Jackson has only released 17 tour dates for 2019 so far, but is promising more will be on the way. Wow! A steel guitar. As a player myself, quite refreshing. Nashvillians love to crap on lower broadway, and I can see how the bachelorette parties get annoying, but there is still a lot of good music being played down there. The hipster uber driver can scoff all her wants, but I still love that street. The best thing is that places like AJs and Crossroads, which usually have great bands, tend to be the least crowded. We have seen Jay Bragg, and had one heck of a time at AJs bar in Nashville. His album is good, pure country music. Happy for him getting this dream opportunity. Hope to see him on OKC. I haven’t had the chance to go to AJ’s Bar, but hope to get there this summer!! I have only seen Alan once in concert at Lexington, Kentucky. He had all the gang from AJ’S with him. It was a wonderful show. I didn’t want it to end!! Since that concert in May, 2018 I have checked his schedule weekly to see where he is!!! I can’t wait to see him again!!! Not only is Alan fabulous, his band is great as well. Alan included each once in the performance, which just goes to show, he’s a good guy! Congrats to all three selected to open for Alan Jackson but major props to JOCO’s own Amanda Daughtry and the Dirty Uncles. What a beauty with a voice to match. Y’all go see her when you are in Nashville. Johnson County punches so far above its weight in country music, it’s ridiculous. Someone needs to go figure out what they have in the water there. It actually would make for a good feature for somebody, this random county with no big city that consistently churns out blue-chip talent. I just did the math, tis even crazier than I thought. Starting we have: the aforementioned Amanda Daughtry. Scotty McCreery. Jimmy Capps. The Malpass Brothers, who just played the Opry. Jonathan Parker, who’s touring the country and is as real as it gets. Eric Strickland, with one of the best male voices in country music. Clyde Mattocks, one of the best steel players in the world, just casually playing all the local bars. And IBMA award nominee Lorraine Jordan, playing every week at her coffeehouse in Garner. And then off the bench we have the Wises, Rebekah Todd, Courtney Raynor, Cody Woody, & Aaron Hamm. Am I missing anyone? I am so happy these artists are going to experience this tour with one of the greats Alan Jackson. I have seem Amanda Daughtry twice now in Nashville and just love her. I am going to try to get to that Jacksonville concert. I will get a two for one. I’ve been a long time fan & would love to see you perform live in concert! Alan Jackson is the very best of Country Music there is today! But I’m one of his biggest fans I just keep to myself with it.I know he’s been in New Hampshire before.But he hasn’t been in Keene or Swanzey N.H.so I could go n see him.But he could have his show at the Cheshire Fairgrounds in Swanzey ,N.H. .That would be Fantastic to see him perform there .That’s just a suggestion from another fans. Thank you for your wonderful years of Keep in It Country ! Love it n you too ! one thing that he has that no other country singer has and that is his western style of cloths. He is carying on the tradition of that style as he should do. You know like Jack Greene , Porter Wagnor, George Jones and a lot of others before Alan Jackson did. The style of country has gotten out of tradition with all of the newcomers in. the countryartists. Although there are a few that are keeping the same tradition as Alan Jackson too! But I just love country music and the styles of Alan Jackson. I am one of his fans but usually I’m quiet and a little shy at times. But that’s just me.